Drum Property Group is to press ahead with plans for 108 flats in the Finnieston area of Glasgow just hours after securing funding for 324 apartments in Tradeston. 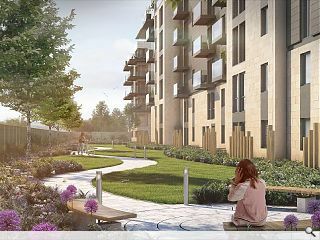 G3 Square will be built on Minerva Street, close to Exhibition Centre station, employing sandstone in an attempt to echo the grandeur of nearby St Vincent Crescent. Drum communications director Fife Hyland said: “In recent years, Finnieston has been transformed by the arrival of new restaurants, shops, bars and gyms, cementing its position as one the best places to live in the UK. 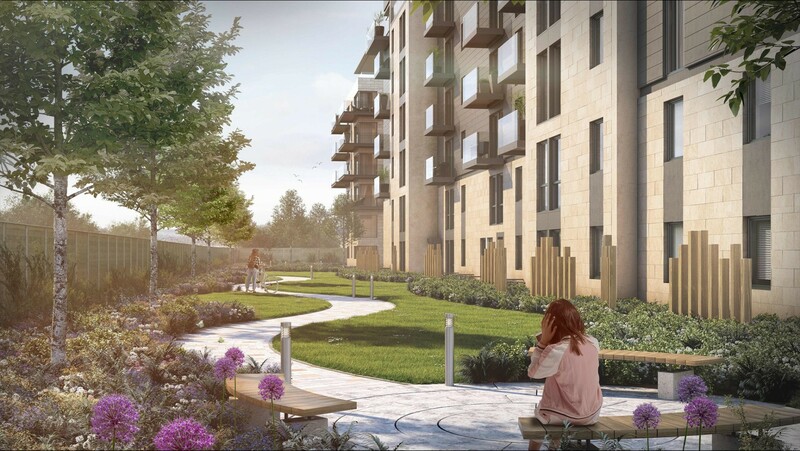 We’re incredibly excited to add to the bustling area with a development offering city lifestyle living in the heart of Finnieston’s vibrant community. Rising to seven storeys the DarntonB3 Architecture designed project will be available in 2020.